<h2>War can destroy cultural heritage twice – in conflict and in clean-up</h2><br /><p>She is director of the Orient Department at the German Archaeological Institute and member of UNESCO's international coordination committee for the safeguarding of the cultural heritage of Iraq.</p> <p><strong>Cultural heritage sites in Iraq have been high-profile victims of the conflict there. It must be devastating to see the destruction of heritage you have studied for so long. </strong></p> <p>'Yes, of course it is really hard to see this. The most distressing for me was the 2003 looting of the Iraq National Museum in Baghdad and the news that year that so many other sites had been looted. Now it's been 15 years and somehow you get used to this kind of imagery. Instead, you immediately start to think about what has actually happened and what propaganda might be behind it. '</p> <p><strong>How did you react when the Islamic State militant group (ISIS) destroyed Iraq's ancient city of Nimrud in 2015?</strong></p> <p>'When ISIS claimed that they had blown up the palace of Ashurnasirpal, the&nbsp;king&nbsp;of Assyria, the first thing we did was to approach the satellite imagery authorities for archival material. It was quite interesting because it showed that the first claims of ISIS to have destroyed the site were not correct. They only destroyed it three weeks later. '</p> <p><strong>Why would ISIS pretend to destroy Nimrud? </strong></p> <p>'I feel they were not so much interested in the destruction of the site for religious reasons or cultural differences – no, it was just to shock Western countries because of their strong admiration for this cultural heritage. Their thinking was: “Let's choose the most attractive sites because it will allow us to receive the best attention we can get.”'</p> <p><strong>ISIS has destroyed World Heritage Sites in Iraq and Syria. Can UNESCO recognition be damaging for a site? </strong></p> <p>'The idea of World Heritage is a very, very attractive one but it always has two sides. On the one hand, it gives us the opportunity to explain to the world what cultural heritage means and what kind of admirable activities humans were able to develop. And on the other hand, you can have too many people visiting, too many interventions by persons who want to make money and, additionally, destruction of the site. '</p> <p><strong>Last year Irina Bokova, then director-general of UNESCO, said the deliberate </strong><a href="https://en.unesco.org/news/security-council-adopts-historic-resolution-protection-heritage" target="_blank" rel="noopener noreferrer"><strong>destruction of heritage was a war crime</strong></a><strong> and amounts to 'cultural cleansing'. </strong></p> <p>'Yes, cultural heritage is part of people's emotional landscape. You really can provoke highly emotional reactions from (its destruction) and this is why we can call it a war crime. '</p> <p><strong>What dangers do cultural sites face once a war is over? </strong></p> <p>'Time is rather short, when the war is over, to collect and safeguard the remains. People of course want to restore their daily life and to achieve this they will remove and destroy in a second way their cultural heritage. Politicians have to react as soon as possible to restore normal life for citizens but this may mean they remove all the destroyed remains because they are destroyed. But for an archaeologist it's not really destruction: we still have all the pieces scattered around and we can collect them and we can do something with it. '</p> <p> <div class="quote-view quotesBlock quote_horizontal"> <div class="quotesTop"><img src="https://horizon-magazine.eu/sites/all/themes/horizon/images/quotes_top.png" alt="" title="" /></div> <p>'The idea of World Heritage is a very, very attractive one but it always has two sides. 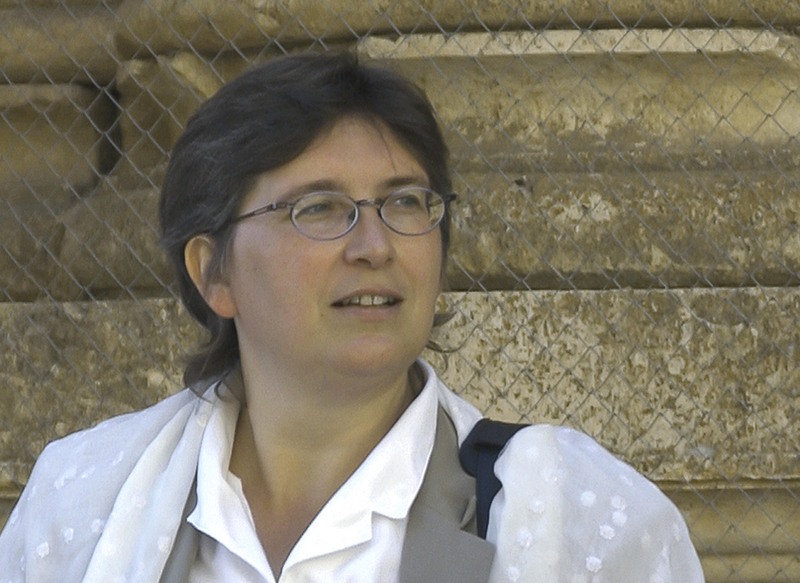 '</p> <blockquote><p>Dr Margarete van Ess, Orient Department Director, German Archaeological Institute</p></blockquote> <div class="quotesBottom"><img src="https://horizon-magazine.eu/sites/all/themes/horizon/images/quotes_bottom.png" alt="" title="" /></div> </div> </p> <p><strong>So how can you intervene? </strong></p> <p>'With documentation. If you don't have the documentation about cultural heritage you can offer only memories. Having databases means you have a very strong tool to show what kind of cultural heritage there was. You can give numbers to politicians which means it's easier to prepare them for action and easier to find funds for restoration. '</p> <p><strong>How could a database help with Syria's recovery, for example? </strong></p> <p>'For the last five years, my institute has been collecting all the documents we have on Syrian heritage, such as photographic campaigns. All this information was until recently in an analogue state. We now have a huge (digital) repository to show the variety and really extraordinarily huge cultural heritage of Syria. This is of immediate help, for example, for tracking stolen objects.</p> <p>'For Palmyra, for example, there's a huge database of photography of those famous female and male busts from the cemeteries to support police. But when peace comes, we hope to identify with the Syrian authorities what kind of conservation, restoration or new documentation projects should be prioritised. '</p> <p><strong>Is it true that initiatives such as yours are multiplying around the world and lack coordination?</strong></p> <p>'Yes. For example with Syria there are several initiatives – French, British, Italian – and the problem is that everybody creates databases and they are different. We have a lot of meetings regarding this and there are initiatives for coordination which do work somehow. The most difficult issue is to coordinate the political approaches. For example the French understanding of what kind of support for Syria could be offered at the moment is quite different from what German support for Syria would mean – they might differ over what kind of groups in Syria they would like to coordinate with. '</p> <p><strong>Could the proposed European social platform on endangered cultural heritage and on illicit trafficking of cultural goods be of help?</strong></p> <p>'I guess it's the only way because it will force all the stakeholders to really think about how to solve this as a joint initiative. There is no way to give one country the lead and tell them to please coordinate with the other nations because their political approaches are so different. But if we do it through a European way, it's my hope we will gain something. '</p> <p><strong>How else can archaeologists help safeguard the world's treasured sites?</strong></p> <p>'Databases are not enough. We have to educate as well. On a philosophical level we need to explore what cultural heritage is, what it means in society and what it does. There are already initiatives, international and national, to educate people on the local level to protect their cultural heritage by themselves and not only to wait for others to take action. I hope the platform will also promote this education but for that it needs to recruit sociologists, not just archaeologists and restorers. '</p> <p><em>If you liked this article, please consider sharing it on social media.</em></p> <p><a href="http://bit.ly/newsalertsignup" target="_blank" rel="noopener noreferrer"><em><img src="https://horizon-magazine.eu/sites/default/files/news-alert-final.jpg" alt="" width="983" height="222" /></em></a></p> <br /> <img src=”http://www.google-analytics.com/collect?v=1&tid=UA-40077089-1&cid=war-can-destroy-cultural-heritage-twice-–-in-conflict-and-in-clean-up&t=event&ec=republish&ea=read&el=war-can-destroy-cultural-heritage-twice-–-in-conflict-and-in-clean-up&cs=republish&cm=republish&cn=republish&cm1=1" /> This post <a href="https://horizon-magazine.eu/article/war-can-destroy-cultural-heritage-twice-conflict-and-clean.html">War can destroy cultural heritage twice – in conflict and in clean-up</a> was originally published on <a href="https://horizon-magazine.eu/">Horizon: the EU Research &amp; Innovation magazine | European Commission</a>. She is director of the Orient Department at the German Archaeological Institute and member of UNESCO's international coordination committee for the safeguarding of the cultural heritage of Iraq. Cultural heritage sites in Iraq have been high-profile victims of the conflict there. It must be devastating to see the destruction of heritage you have studied for so long. How did you react when the Islamic State militant group (ISIS) destroyed Iraq's ancient city of Nimrud in 2015? Why would ISIS pretend to destroy Nimrud? ISIS has destroyed World Heritage Sites in Iraq and Syria. Can UNESCO recognition be damaging for a site? Last year Irina Bokova, then director-general of UNESCO, said the deliberate destruction of heritage was a war crime and amounts to 'cultural cleansing'. What dangers do cultural sites face once a war is over? So how can you intervene? How could a database help with Syria's recovery, for example? 'For the last five years, my institute has been collecting all the documents we have on Syrian heritage, such as photographic campaigns. All this information was until recently in an analogue state. We now have a huge (digital) repository to show the variety and really extraordinarily huge cultural heritage of Syria. This is of immediate help, for example, for tracking stolen objects. Is it true that initiatives such as yours are multiplying around the world and lack coordination? Could the proposed European social platform on endangered cultural heritage and on illicit trafficking of cultural goods be of help? How else can archaeologists help safeguard the world's treasured sites?